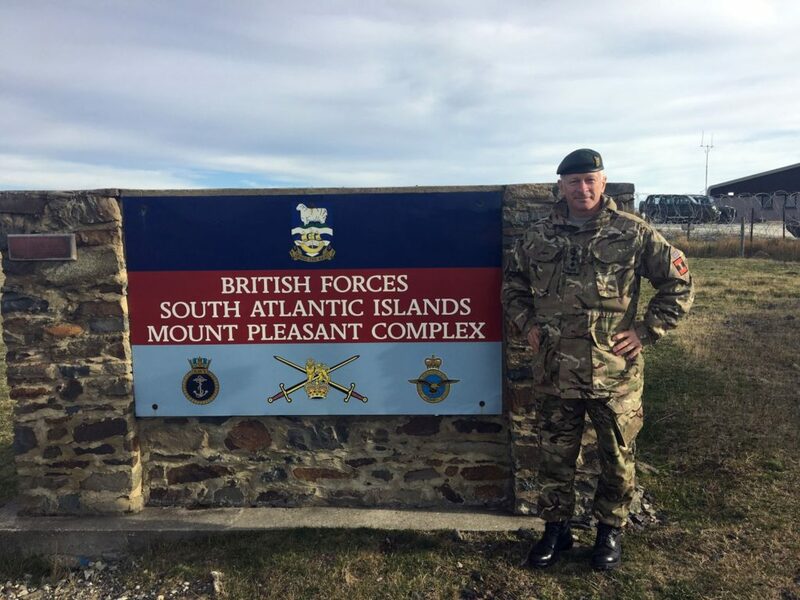 Colonel Brigade of Gurkhas, Colonel James Robinson, visited the Falkland Islands over the period 23rd – 27th April. While routinely there are always a number of Gurkhas employed as part of the British Forces there, the visit was timed to see a large number of the Brigade who are currently deployed, including a troop from 246 Queen’s Gurkha Signals (QGS) Squadron commanded by Captain Indrabahadur Thapa and the Band of the Brigade of Gurkhas who were deployed for 10 days to provide a variety of musical support including the Queen’s Birthday Parade and a concert in Stanley. Colonel Robinson met Commander British Forces, Brigadier Baz Bennett CBE and also a number of the commanders who oversee Gurkha personnel. He spent time visiting QGS in their workplace providing communication support to BFSAI and QOGLR who are employed in transport, logistic and serving roles. 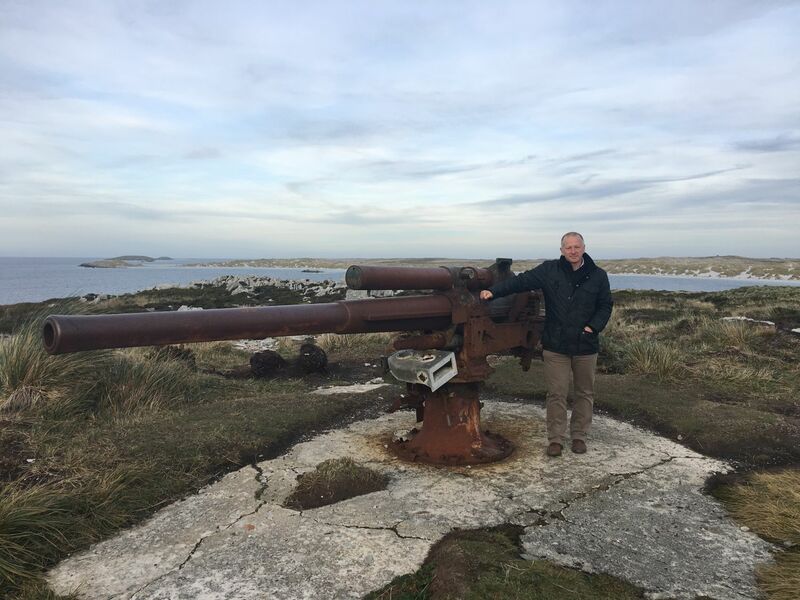 He joined the Gurkha Band on a battlefield tour to Mt Tumbledown which was taken by the Scots Guards on 14 June 1982 following 1/7th Gurkha Rifles securing of Mt William. 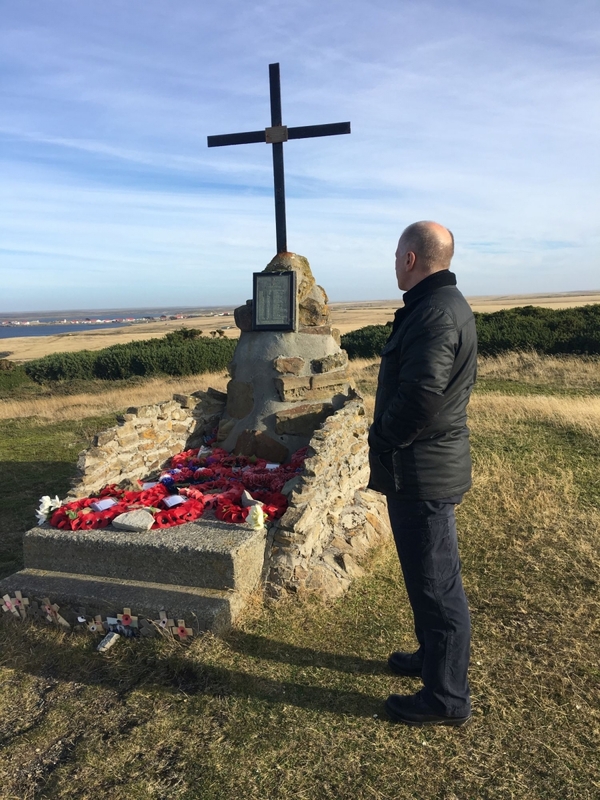 He also visited memorials at Fitzroy and went onto Darwin and Goose Green where 1/7 GR were based following the ceasefire. The Band also played at a Nepalese cultural evening which was well attended by all serving Gurkhas, transferees and others of Nepalese origin based at Mt Pleasant. Colonel BG took the opportunity to update all present, explain Brigade growth plans and thank them for their excellent work in the Falklands.